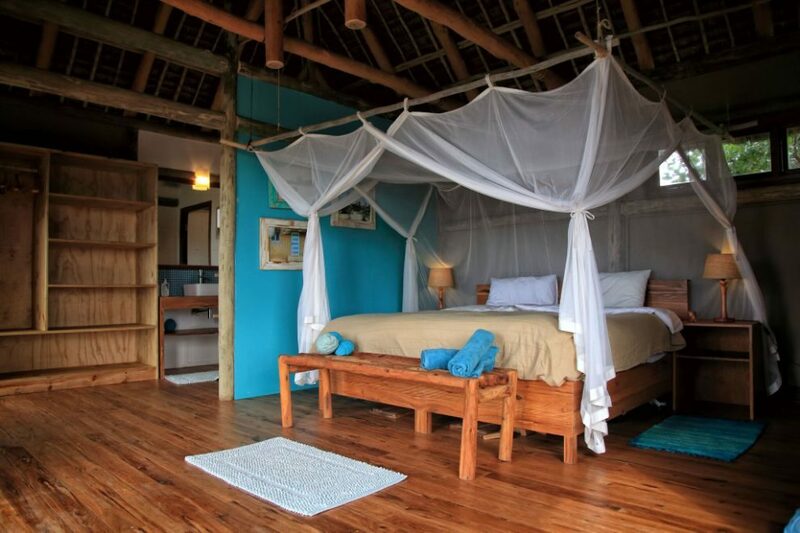 Travessia is a luxury eco-lodge nestled in secluded sand dunes on the coast of the Indian Ocean. 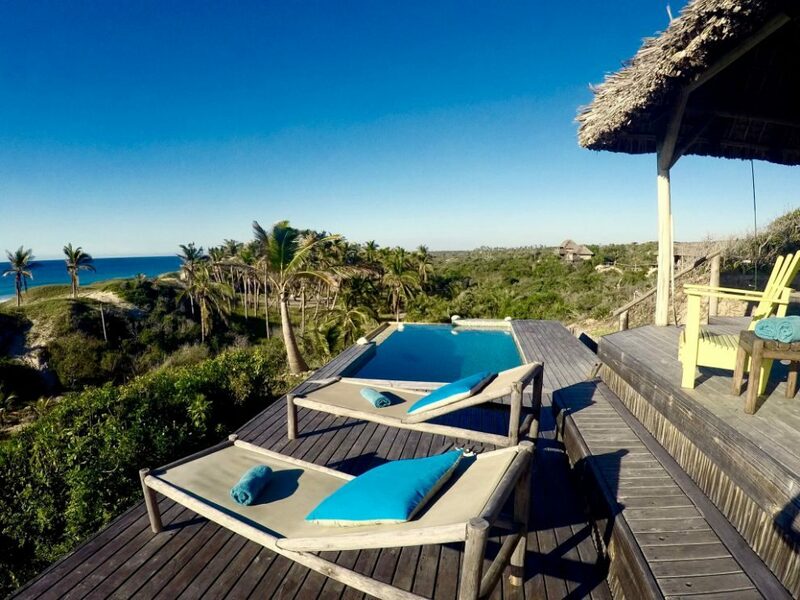 Even though the lodge is only an hour and a half drive from the Inhambane airport, and only six kilometers from the main highway, you’ll feel like you’ve found a hidden, remote paradise. 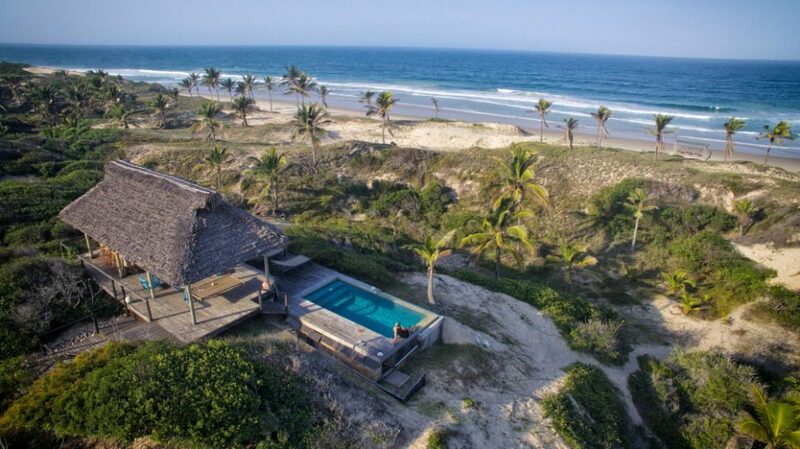 Travessia is located in Inhambane Province, Southern Mozambique. 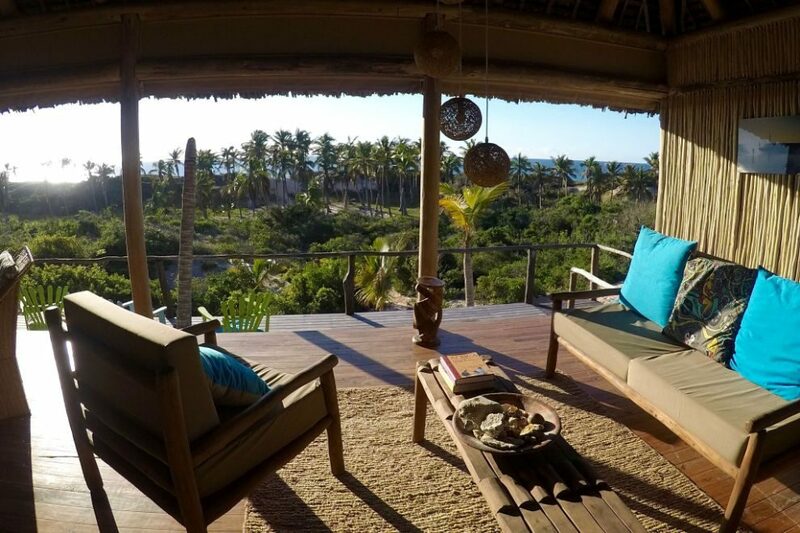 Travessia is an exquisite eco-lodge built into the dunes along the beach, nestled between bush and palm trees, and with carefully chosen spots to maximize privacy and sea-views whilst maintaining proximity of the rooms to the lounge, restaurant and the beach. 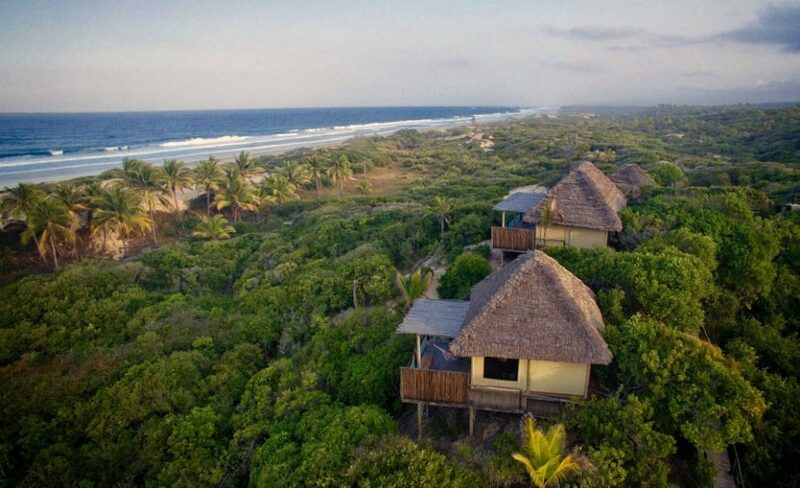 Enjoy relaxing on the beach or exploring the local communities and cultural tours offered in nearby Inhambane and Maxixe. 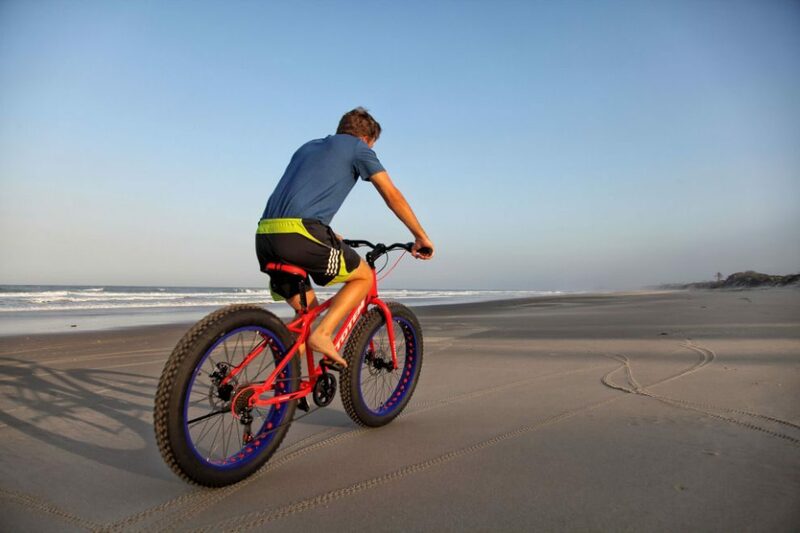 There are also ample opportunities to enjoy the world-class diving and snorkeling of Inhambane Province. 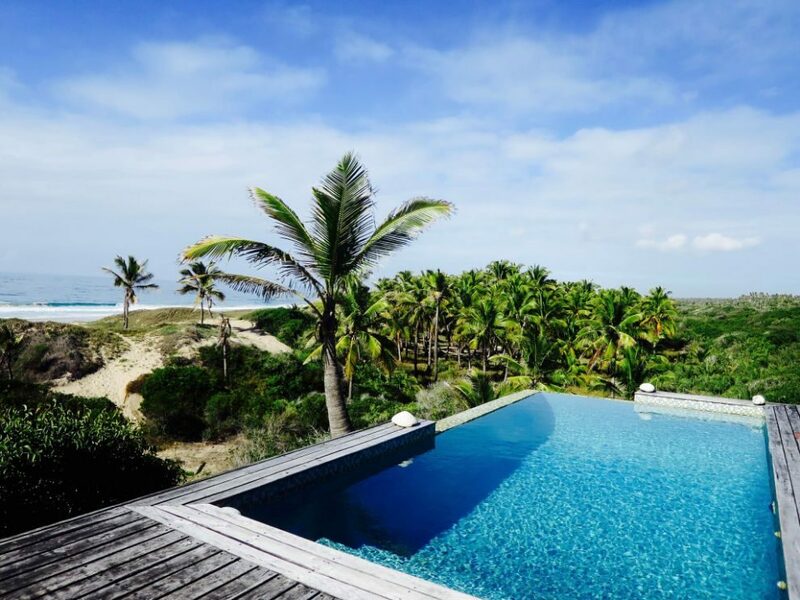 Travessia offers tours of nearby remote local communities, as well as day trips to explore the bustling and colorful markets of Maxixe and Inhambane. 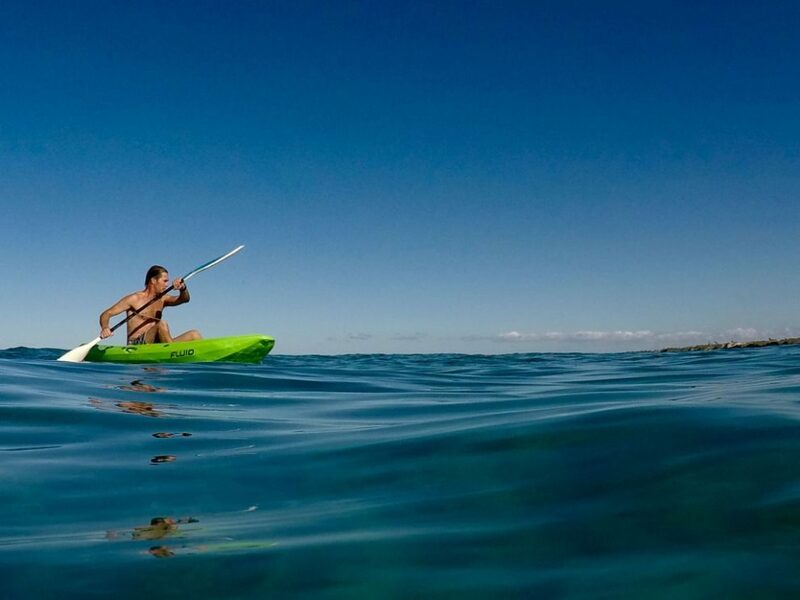 They can also arrange your diving and snorkeling adventures, however, if you wish to stay put at the lodge, there are ample opportunities to use the lodge’s canoe and body boards, as well as set out on foot on of the lodge’s walking trails. 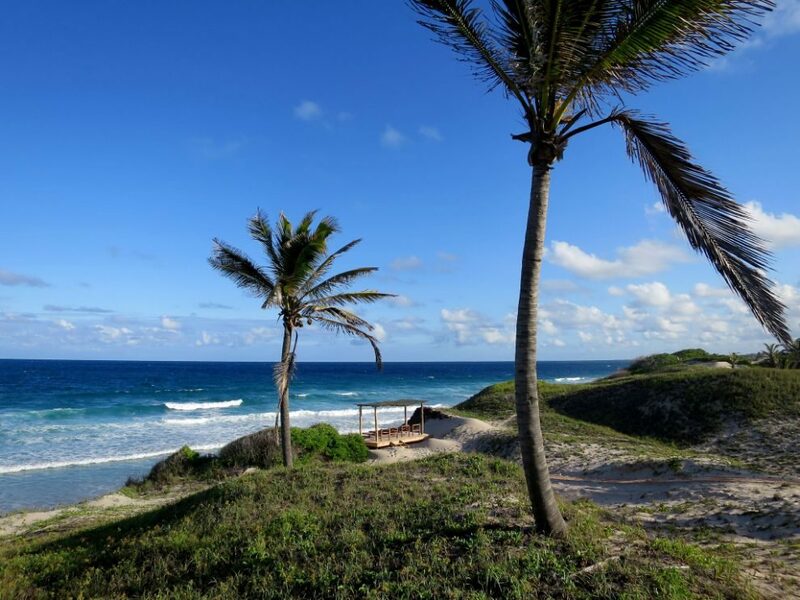 Travessia’s restaurant sources what’s local and in season to provide you with flavorful, fresh dishes for breakfast, lunch, and dinner. For breakfast, you’re served cereal, yoghurt and fruit, rolls or home-baked bread with honey, jam, peanut butter, marmite or cheese. 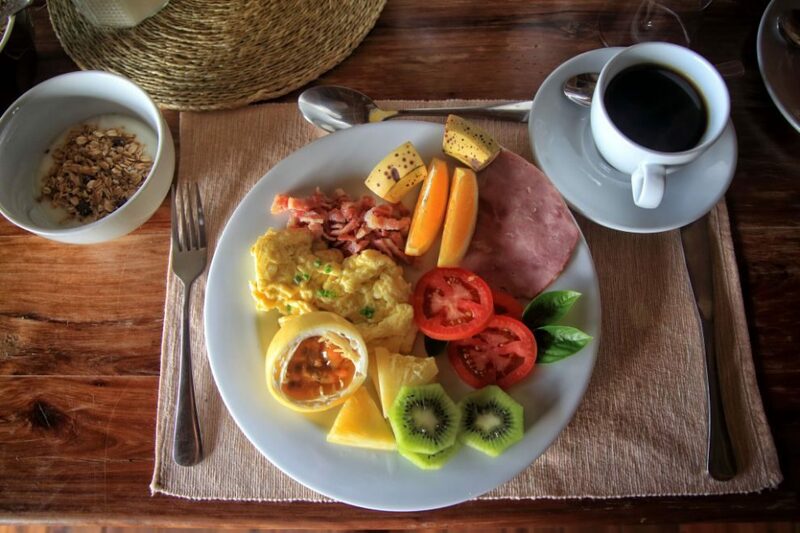 Order your English breakfast with eggs, bacon, beans and tomato. For lunch you can expect a light meal, usually with a salad, sandwiches or a burger. Dinner is served family style at a large communal table or as a buffet.